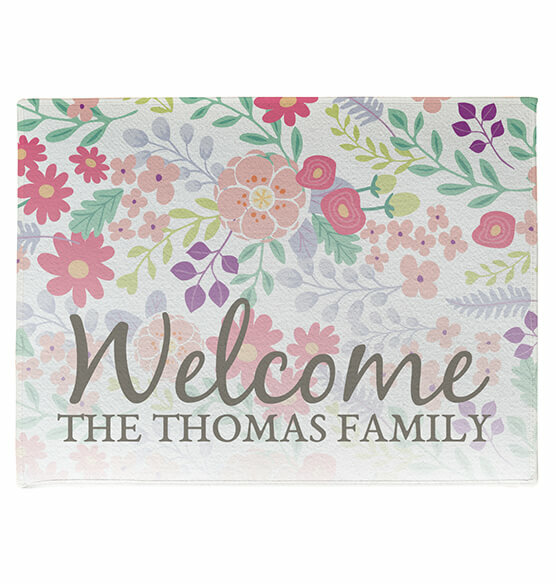 Add a beautiful and colorful welcome to your front door with a personalized Floral Family doormat. This personalized gift will bring real cheer to your doorway this Spring. Give as Mother's Day Gifts, spring, or housewarming gift this year! 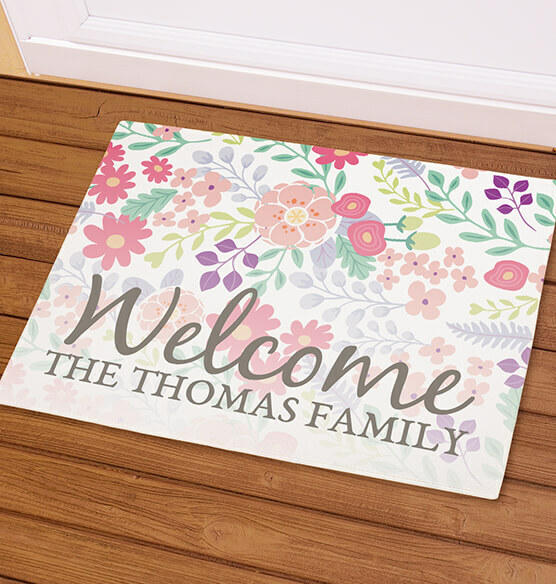 Safe for both indoor and outdoor use, your custom floral welcome mat will be personalized with any one-line name or message (up to 24 characters) to make it completely unique ("THE" is not static). 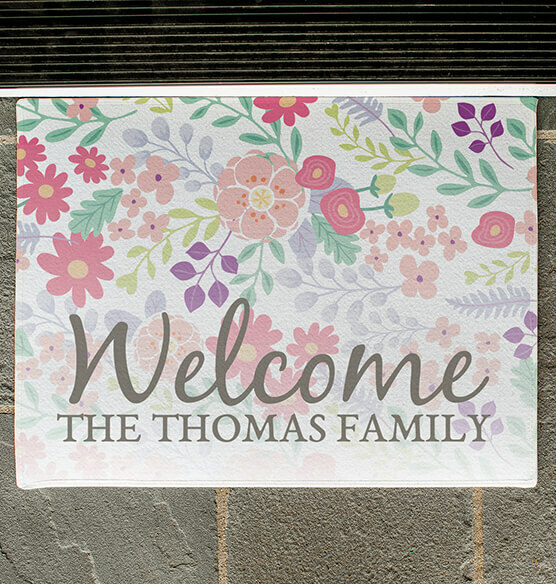 This custom doormat makes for a fantastic personalized Spring gift, especially for someone who just moved into a new home! Smooth fleece with latex backing and white bound edge. Recommended for indoor/outdoor protected use.